Here is another car from Serenissima, though this one was not one of the original run of a handful of road and race cars. This is an unregistered prototype that was built by Giovanni Volpi, and it is unclear if the prototype was ever officially shown. 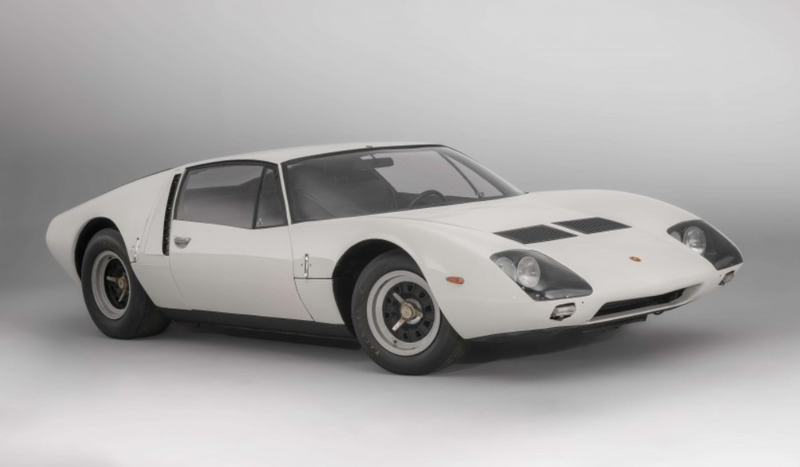 It features tubular subframes and a look similar to that of the Lamborghini Miura and DeTomaso Mangusta. Power is from a 3.5-liter twin-cam V8, and it was modified with a revised front end at some point including covered headlights instead of the original louvered units. Period photos also show the car fitted with a large rear spoiler which has since been removed. The car was never used all that much, even when new. It is being sold in need of a recommissioning by Volpi himself and should bring between $450,000-$675,000. Click here for more info and here for more from this sale. This entry was posted in Uncategorized and tagged 1967, Agena, artcurial, auctions, cars, classic cars, Serenissima by classiccarweekly. Bookmark the permalink.